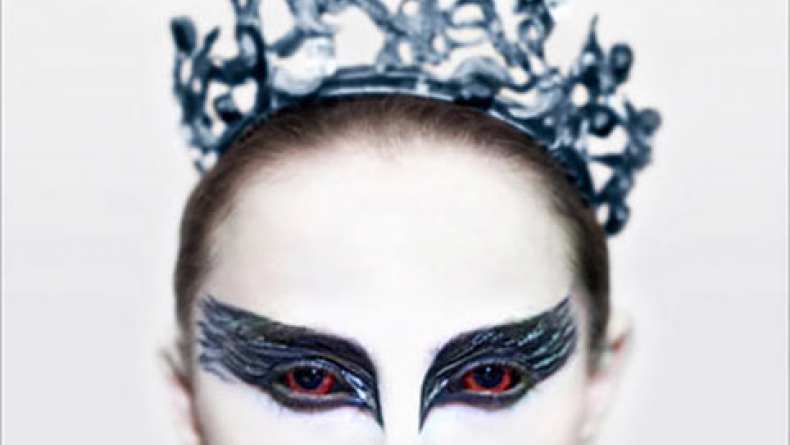 Black Swan follows the story of Nina (Portman), a ballerina in a New York City ballet company whose life, like all those in her profession, is completely consumed with dance. She lives with her retired ballerina mother Erica (Barbara Hershey) who zealously supports her daughter's professional ambition. When artistic director Thomas Leroy (Vincent Cassel) decides to replace prima ballerina Beth MacIntyre (Winona Ryder) for the opening production of their new season, Swan Lake, Nina is his first choice. But Nina has competition: a new dancer, Lily (Kunis), who impresses Leroy as well. Swan Lake requires a dancer who can play both the White Swan with innocence and grace, and the Black Swan, who represents guile and sensuality. Nina fits the White Swan role perfectly but Lily is the personification of the Black Swan. As the two young dancers expand their rivalry into a twisted friendship, Nina begins to get more in touch with her dark side with a recklessness that threatens to destroy her. Director Darren Aronofsky attributes Black Swan getting made to Natalie Portman's dedication. She not only trained in dance for a year, but she also paid for all the training out of her own pocket because at the time, the film didn't have any investors. The budget on Black Swan was so tight that when Natalie Portman dislocated a rib during a lift, she was told the production couldn't afford a medic. She said that if a medic was needed, she would forgo her trailer in order to get treatment. When she arrived on set the next day, her trailer had gone. Both Natalie Portman and Mila Kunis have praised choreographer Benjamin Millipied (now Portman's husband) for his work, which they say ensured they could do 8-% of the dance scenes themselves, and made them look like professionals. Mila Kunis practiced ballet as a child, but still needed to train five hours a day, seven days a week, for three months, to learn how to dance en pointe. The world of professional ballet is often rumored to be a dark, murky world; while the accolades and adoration from audiences are wonderful, getting to that point in your career as a dancer involves a tough and brutal route. Dancers might be small and light on their feet but make no mistake, they're super tough. Darren Aronofsky has perhaps taken Black Swan down a darker route than most ballerinas would recognize though. Nina gets the chance she has always dreamed of- to take the lead in Swan Lake. However, Thomas, her director, wants a girl that can dance both the White Swan and the Black Swan, and he's still unsure if Nina fits that role. Newcomer to the company, Lily, has what it takes to play the Black Swan, and Nina both loathes her and obsesses over her at the same time. While the glimpse into the dance world is fascinating, Black Swan is really about the mental torment one woman goes through in her quest for perfection. She is so entirely dedicated and consumed by dance that it is all her life revolves around, and she can't see any escape. The trailer above highlights the dark, almost menacing tone the movie has. It really is a psychological thriller, I think, since Lily finds her way into the mind and under the skin of Nina, and she lurks there, every second of every day. The trailer is erotically charged, emotive, and gripping.